Do You Fly More Than You Drive? When contemplating potential savings opportunities for vacation, it can be easy to default to taking a road trip rather than booking air travel. However – recent fluctuating gas prices have thrown that assumption for a loop. Now, the comparative costs of flying and driving depend on more elements than just gas prices (such as how much you’re paying for car insurance!). Maybe you travel a lot for work. Maybe you live in the city and take public transportation or use ride-sharing apps. Whatever the case may be (and maybe without even realizing it), it is possible that you decide to fly or take other forms of transportation more often than you decide to drive. Of course, there are pros and cons to all forms of transportation, but here’s a checklist you can use to find out if your frequent flier miles are racking up faster than your odometer. 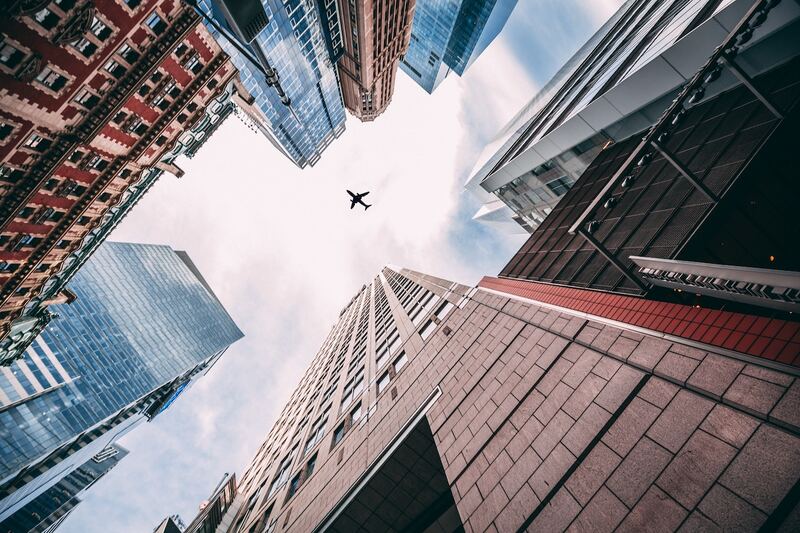 Have you taken more than 5 air travel trips this year? Do you average less than 1,000 miles driven per month? Do you take frequent 2 hour (or less) flights? Do you usually reserve a rental car at your destination? Do you find yourself relying on public transportation (i.e. subway, bus, train, etc.) or using ridesharing apps to get to your destination? Does cost-savings on a trip matter to you? If you answered “yes” to most of these questions, you probably fly more than you drive. This checklist is not an exact science, however – to truly calculate it, you will have to do some number-crunching of your own. If you have a suspicion that you fly more than you drive, then it might be worthwhile to do the math. Thanks to the Internet, there are some handy tools you can use to figure it out. With these online calculators, all you need to do is enter some basic information that you probably know off the top of your head. Keep in mind: these sites typically say that they are for information purposes only, so don’t blame them (or us) if their answers don’t match up to the ones you produced using your own formulas. BeFrugal lets you enter your vehicle make, model, and travel information and then compares the calculated cost with current airline prices. BeFrugal also lets you compare carbon dioxide emissions for each mode of travel. CostToDrive calculates how much you’ll pay to drive from one U.S. city to another based on your vehicle model. AAA offers its online Fuel Cost Calculator to members and non-members alike – for free. Also, don’t forget that your car insurance is an additional cost to factor into your flying vs. driving calculations. If you’re calculating monthly expenditures (rather than yearly), be sure to divide your yearly premium payment by 12 to get your monthly car insurance cost. This brings me to my final point and the pinnacle of our discussion: if you’ve realized that you fly more than you drive, then Metromile could be a great option for your car insurance! We structure our monthly billing cycles on the pay-per-mile model – therefore, the less you drive, the less you pay each month. Why pay exorbitant car insurance premiums if you find yourself flying (or taking other forms of transportation) more than you drive? Even if you haven’t yet done the math, click on over to grab a free quote from Metromile. It will only take a few minutes and may potentially save you hundreds of $$$ this year! That’s a few hundred more in your bank account to book your next trip, so what are you waiting for? As always, be safe out there and see you on the roads! Do You Need Rental Car Insurance When You Travel? If you’ve ever rented a car, you know firsthand how bewildering the experience can be. The rental car company give you a daily rate, but there always seems to be hidden fees cloaked in ambiguous terms (what is a ‘vehicle license recovery fee,’ anyway?). Then, there’s the car insurance. Do you actually need it when you’re already paying for insurance on the vehicle that you own? From your existing car insurance coverage to getting coverage through your credit card company, let’s explore the options available to you – a sure-fire way to prevent the rental car companies from wringing you dry. Will I be covered by my existing car insurance policy? First things first: will your existing car insurance policy cover your rental car? It might. Check your policy to find out which coverages extend to your rental car before getting up to the counter. That way, you can confidently add or decline the rental car insurance when you’re put on-the-spot by a pushy rental car agent. Do keep in mind that rental cars may be covered under your car insurance policy for personal use only – that means if you’re using the rental car for business or commercial uses, your insurance may not cover it. Will my credit card company provide rental car coverage? If you’re planning on using a credit card to pay for your rental, you may be covered by the credit card company. Check with your credit card company to find out what additional rental car coverage is provided. All four major credit card companies (Visa, Mastercard, American Express, and Discover) provide some sort of rental car coverage. To ensure that you’re covered, you must pay for the entire rental car bill on your credit card and decline any supplemental insurance offered by the rental car company. This is key – if you sign up for the supplemental coverage, your credit card company will not cover you. Also, your credit card company will not cover your rental car in some popular destinations, including: Ireland, Israel, Italy, Jamaica and Australia. Again, to avoid frustration and confusion, be sure you have all the answers on what is covered and what isn’t before you get up to the rental car counter. When should I opt-in for rental car insurance, then? You’re traveling for business: As previously mentioned, if you’re using the rental car for business or commercial purposes, you likely may not be covered through your existing policy. you’ll probably want to think about at least opting for the rental company’s loss damage waiver. 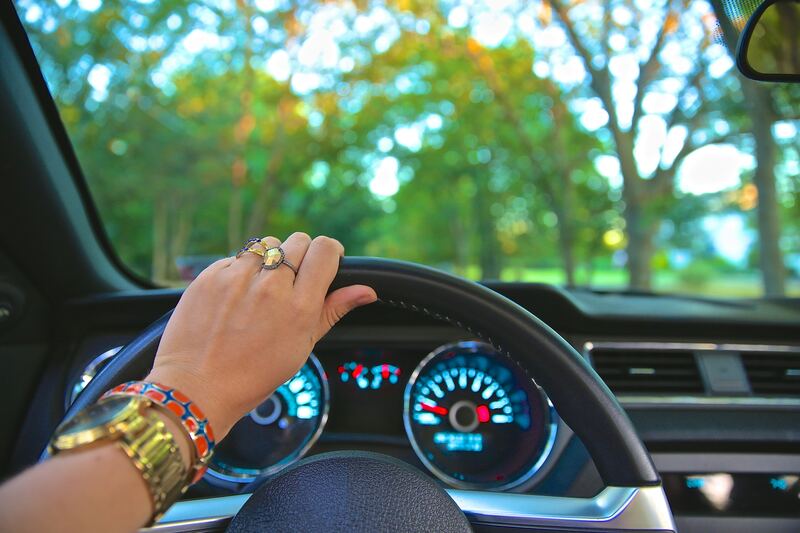 If you have no car insurance at all, you’ll also need to spring for supplemental liability. You’re traveling abroad to a destination that’s not covered: If you’re traveling internationally, chances are that your car insurance provider won’t cover your rental car. Again, popular international destinations, such as Italy, Australia, Ireland, Israel, and Jamaica are not eligible for rental car coverage through your credit card company. You’re worried about an incident affecting your existing car insurance premiums: If you’re worried about getting into an accident in the rental car and concerned your car insurance premiums will go up, get the rental car insurance. This way, you’ll still be covered and you’ll have peace of mind knowing your existing car insurance rate won’t skyrocket. Remember – rental car companies are counting on you to not do your homework. Show up to the counter prepared and know when to opt-in and when to decline the rental car insurance coverage (those agents can be pushy!). If you’re already a Metromile customer, most Metromile policy coverages do transfer to the rental vehicle. There is no need to plug the Pulse device into the rental vehicle as you won’t be charged for mileage while driving the rental vehicle. Be sure to consult your policy contract or feel free to contact us if you have any questions about your coverage. If you’re not yet a Metromile customer, click here to get a free quote today to find out how much you could be saving! Be safe out there and see you on the roads! The following post is from guest writer Gallard Joaquin, a freelance content writer with a background in travel and lifestyle. By traveling the world and writing about his experiences, he enjoys helping others find the most efficient means of travel, wherever their destination. At almost 3.8 million square miles, the continental United States is a great place to have an epic road trip. With the varied landscapes from the snow-tipped mountains of Colorado to the lush prairies of the Midwest, there are plenty of environments to explore and a variety of things to see. But what’s the best way to have a road trip experience with your family or group of friends? Keep reading to learn about the six best road trip tips. Despite sitting for a long period of time, road tripping can be exhausting work. It’s important not to wear yourself or your companions out. There are many ways you can accomplish this including never driving for more than eight hours a day, spending the extra dollar for a nicer hotel, taking periodic breaks along the way, and even considering a roomier passenger van rental. You don’t want to look at the road every morning with dread, thinking about your aching back. Part of the thrill of a good road trip is the journey, not where you ultimately end up. We all have schedules, but vacation isn’t about adhering to them. Several attractions and sights are easily missed if you only focus on the end result of your trip and sometimes these distractions from the road can become the most memorable part of the trip. Despite the importance of relaxation, comfort, and exploration, it’s always good to have a plan for your road trip. Where are you going? What do you know you want to do when you get there? What route do you want to take? How much money are you able to spend? These are logistical questions that should always be considered when planning a road trip. A spiral-bound planner can hold all these details for you. Speaking of planning, a road map can be your best friend on a road trip. We live in an era of amazing technology, like GPS and wi-fi, but these are luxuries you won’t always have as you’re crossing the great expanses of the United States. You don’t want to find yourself lost with no reception and therefore little recourse but to ask for directions. You may have heard the term “hangry” before. That’s because it can definitely become a real problem and cause a lot of friction and conflict between your friends and family. You should have little trouble finding places to eat if you plan accordingly, but sometimes that might not be enough. Consider bringing “emergency food” or purchasing some along the way. A cooler filled with fruit, sandwiches and other fresh food can be a solution to this problem before it even comes up. What and how you pack for your road trip can depend on a lot of things including where you’re staying, the type of car you’re driving, the length of your trip, and the number of people who are traveling with you. If you don’t plan ahead, you may find yourself with piles of luggage you didn’t realize you were going to have. Make sure you and your family or friends consider these questions before packing your luggage to ensure everything fits and no one has to repack. 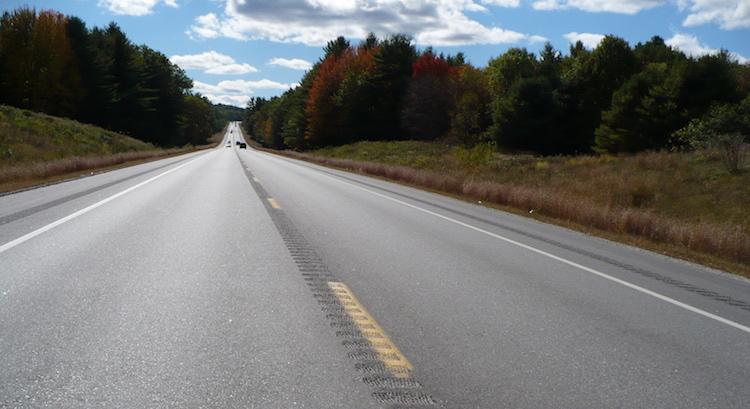 Before hitting the open road, plan for a great experience with these great road trip tips. Try them out on your next cross country trip and decide which ones work best for you! Editor’s note: don’t forget that Metromile customers can road trip with ease — we don’t charge for miles driven over 250/day (150 in certain states).